Treasure Island Beach House!!! Location! Location! Location! 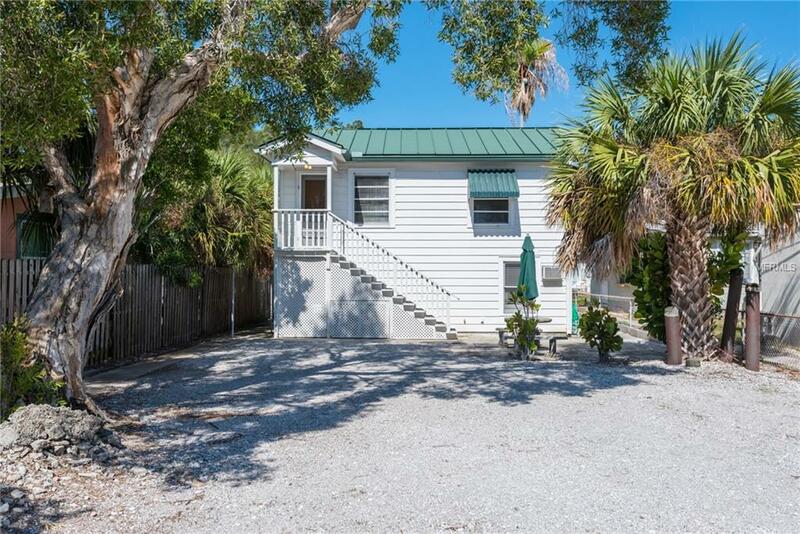 This 1928 Vintage Beach Cottage is Only 1 Block to the Beach, 1/2 a Block to the Intracoastal Waterway and Only a Short Walk/Bike Ride the World Famous Historic Johns Pass Fishing Village! Walk or Bike to Restaurants, Beach Bars, Shopping (Publix), Trolley Service and Much More!! You are Also Right Around the Corner from a Public Boat Ramp! This Beach House is Currently Set Up as A Legal Duplex. The Top Floor Consists of a 1 Bedroom, 1 Bath Unit and the Bottom Floor Consists of Another 1 Bed, 1 Bath Unit, A Bonus Space/Storage Area, and a Laundry Room with A Full Size Washer & Dryer. The Bonus Room Could Possibly Be a Second Bedroom for the Downstairs Unit (Buyer Must Check with City of Treasure Island for Clarification). You Will Fall In Love with The Upstairs Unit Featuring Original Pine Walls and Original Hardwood Flooring! This Home Sits on 40 x 105 Lot and has Plenty of Room for an RV, Boat, or Several Vehicles. Super Convenient Direct Beach Access is Only 1 Block Away! Start Living the Beach Life Today!!! Survey, Insurance Costs, and Elevation Certificate are Attached on MLS. No Minimum Rental Period, Only 5 Tenant Change Overs Per Year. Both Units Are Currently Vacant. Additional Lease Restrictions No Minimum Rental Period. Only 5 Tenants Per Year.